Rivers are essential to the health of the Earth. They are among the most diverse ecosystems on the planet. Rivers can be degraded by many human activities, including pollution, channelization and watershed destruction – but dams have the greatest impacts. Dams are barriers that hold back water and raise the water level, resulting in a reservoir. They are constructed for electric production, flood control, water supply and irrigation. Despite their benefits to humans, dams are destroying riparian ecosystems. With an ever-increasing demand for energy and water, the amount and size of reservoirs is increasing around the world. Environmental consequences are outnumbering the benefits of dams – which degrade water quality, disrupt flows, affect the movement of sediment and nutrients, destroy habitats, and reduce recreational options. Dam reservoirs also slow and widen rivers, raising their temperatures. Water quality is degraded, and non-native species invade the ecosystems. There is no such thing as “clean hydro power” on a large-scale. Hydro dams result in fluctuations in downstream flows, dewater stream channels, and cause the death and reduction of aquatic species. Dams eliminate habitats both in the reservoirs and in the river below. Migratory fish may not survive their downstream travel, faced with numerous man-made obstacles. The return trip is even more challenging. Dams also contribute to global warming. Within the last 20 years, large dam methane emissions have equaled about the equivalent of 7.5 billion tons of carbon dioxide. Degraded water quality results when organic materials from in and outside rivers build up behind dams. When the movement of sediment is disrupted, materials build up at the mouth of the reservoir, starving downriver ecosystems of vital ingredients. These backed-up materials, when decomposing, consume large amounts of oxygen, often resulting in algae blooms that create oxygen-starved “dead zones”. Temperatures of the water are affected, threatening marine life. When the oxygen-deprived, temperature affected water is released, downstream ecosystems also suffer. 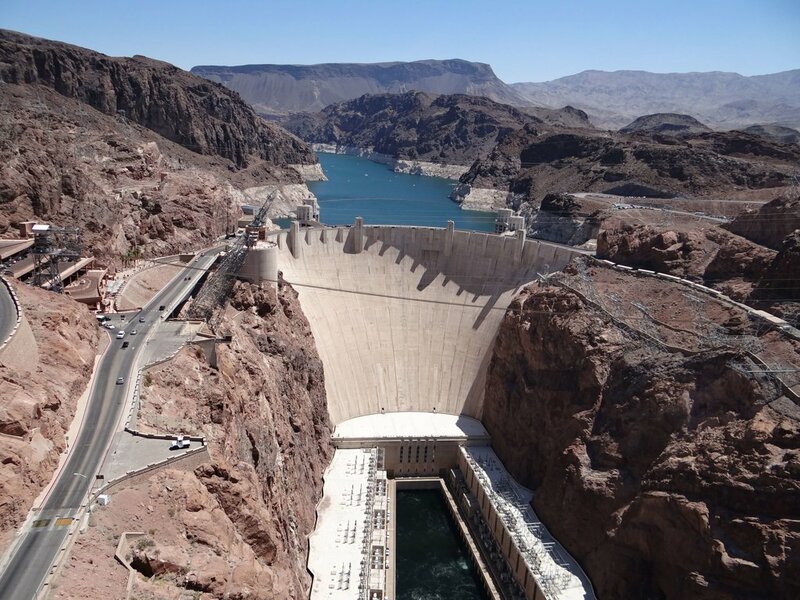 The United States has built thousands of dams, while some countries are just beginning to construct dams and are doing so at a disturbingly fast rate. Withing the next 30 years, thousands of new dams are expected to be constructed globally. Seventy percent of rivers impacted by the new dam construction are home to the greatest diversity of fish species on the planet. The irreversible destruction caused by these dams will affect both people and wildlife. The Three Gorges Dam in China, built on the Yangtze River in 2003, supports a catchment area of almost 400,000 square miles. The Hubei region in which the dam is situated is home to 6,300 species of plants, 57 percent of which are endangered. This Central Yangtze region also supports 378 species of freshwater fish, 280 species of mammals and 166 species of reptiles. The project has severely affected temperatures of water and flow patterns that has taken a toll on aquatic life surrounding it. Instances of rotating turbine blades injuring fish abound. The most serious case of wildlife abuse has been the complete extinction of the Baiji, or Chinese river, dolphin. Destruction of wetlands in the wake of the Three Gorges project has driven away tens and thousands of the rare Siberian crane that come to spend winters there. Today, only around 3,000 of these majestic birds are to be sighted in these wetlands. The Yangtze sturgeon, a species of fish endemic to the waters of this region, have been nearly driven to extinction. To make matters worse for wildlife survival, the human population in the Yangtze River Basin has doubled in the last 50 years which resulted in more dams to cater to the energy and irrigation needs of probably the biggest concentration of human population in the world. The number of dams in China is now 80,000, a majority of which have been constructed after 1949. What this has done to ecosystems and the biodiversity it supports is unfathomable. Similarly, hydro power projects on the Mekong, Congo and Amazon rivers have caused incalculable losses to the once rich biodiversity and wildlife abounding their catchment areas. Dam construction on the Xingu River, a tributary of the Amazon, threaten the existence of 50 species of fish unique to the waters of the lower Xingu. Dams interfere with the natural water flow of rivers and cause intense harm to downstream flora and fauna. Dam projects on the Mekong River in South-East Asia are causing massive disruption to aquatic ecosystems the river supports. Nearly two-thirds of the freshwater fish are long-distance migratory species that travel downriver for spawning in the Lower Mekong. The construction of dams on the upper Mekong has blocked such migratory routes, causing a huge drop in the population of such fish. A massive reduction in commercial fish catch by as much as 30 percent is a poignant indicator of this. The above are not just isolated instances; hundreds of them occur in various parts of the world. Forest areas totaling 9 million hectares have been submerged as a result of the 1,800-odd dams constructed between 1980 and 2000. Ecosystems supporting flora and fauna were obliterated overnight. Unlike humans, wild animals are incapable of being forewarned of impending floods and this creates panic among them. Wary of leaving their habitat, some of them simply drown and the more fortunate migrate to safer but unknown territories. Canals or drainage for irrigation purposes can also act as obstructions to wildlife habitats; so can power lines cutting through forest patches. Dams also affect the biosphere by way of greenhouse emissions. Nearly 500 dam projects are currently in the pipeline worldwide. This spells danger to the 4,000 unique species of fish in just three major rivers systems alone – the Amazon, the Mekong and the Congo. What lies in store in numerous other river systems of the world are the extinction of many fish and other aquatic species, the decimation of floodplains, wetlands and farmlands that support a vast array of bird life, and erosion of coastal deltas. As communities begin to realize that the environmental, economic, and cultural consequences of dams outweigh the benefits, dam removal is becoming a popular occurrence. Removing dams helps to restore ecosystems and river flow for wild animals while restoring natural nutrient flow and sediment and nutrient flow. Dam removal can also eliminate safety issues in a community, protect wetlands and coastal beaches, improve community water quality, restore recreational opportunities, and save taxpayer money. To meet the needs of a burgeoning human population, plundering of natural resources and destruction of the world's ecosystem have been resorted to, posing a grievous threat to the future of Earth's wildlife. Among the millions of pinpricks inflicted on nature by man, one has been the wanton construction of dams. Despite the construction of such a huge multitude of dams, over a billion people still are deprived of clean drinking water. Two billion are bereft of basic sanitation, and a similar number still lack electricity. Scientific studies have shown that dams are not the green, clean and economical source of electricity they are made out be. For the sake of the world's dwindling wildlife population, governments and authorities must pay heed to their plight. New technologies offer more environmentally responsible alternatives to dams. More efficient energy sources – including wind, solar, geothermal, tidal, wave and biomass options – can help eliminate our dependence on dams. Residential, commercial, and agricultural water reduction is also an effective solution to reducing the need for dams.